You've seen her YouTube videos all over the web... no doubt, you've seen the results of her beautiful SpringLocks techique on her client Antoinette's Sisterlocks. I recently placed an order for her most recent instructional video. 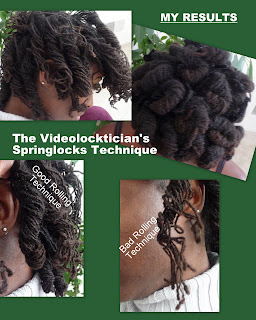 Now... you, my Natural Journeys readers, already know that pipecleaners are my curling tool of choice among hair spools, SoftSpikes, the Wrap-A-Loc tool, and bantu knots. Truly, it's all in the technique because the tools are simple. Those who are "in the know" you must compensate... and I ain't mad at 'em! Go forth my dear sistahprenuers! I'm very pleased with my results!! Thanks Phyllis-the Videotician for sharing. I love the Web for learning ANYTHING about which I'm ignorant. My photos posted here show my good and BAD technique and my really nice results-- for the FIRST TIME. I've been rockin' my long lasting set for a week now. LOVE IT! Your set looks great! 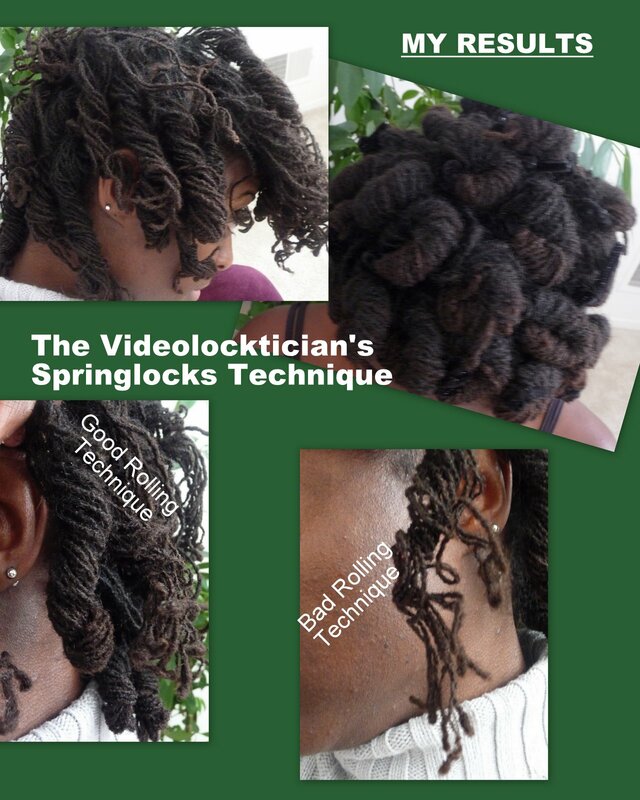 I enjoy watching Phyllis' videos because you learn so much and her hair is beautiful. I have to style my hair a little differently because my hair is thick and full, so I get different results sometimes. You did an awesome job with your, so keep posting more pics. I've also used pipe cleaners before and they work great. Dewdrop, I learn from YOUR blog and videos as well! I'm learning that my various hair lengths and texture stages requires just a little something different as I go. I recently washed THIS set out, then "springlock curled" it again. The back of my hair had not full dried even by morning. Upon releasing this curl set, the back WAS NOT curled at all. UGGHHH! I HATE when this happens. My locks in the back middle of hair head are probably more like what you are saying your hair is like. Now, I have learned that my best results happen with a few locs at a time on a pipe cleaner and only misted damp at that. I think your curls turned out really nice and for them to last that long is an added bonus. I must give curling my hair a try, lately I haven't felt much like styling. Can you tell me where I can fine pipe cleanings? PIPE CLEANERS can be found at your local dollar store or arts & crafts retailer. Even Office Depot carries Chenille Pipe Cleaner, Black, Pack Of 100 for $2. 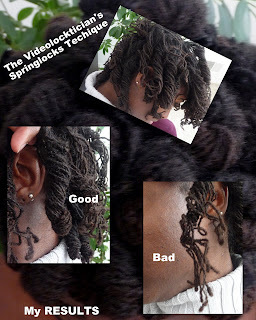 Again I say... the tools are simple, however TECHNIQUE is the key to your resulting curl.